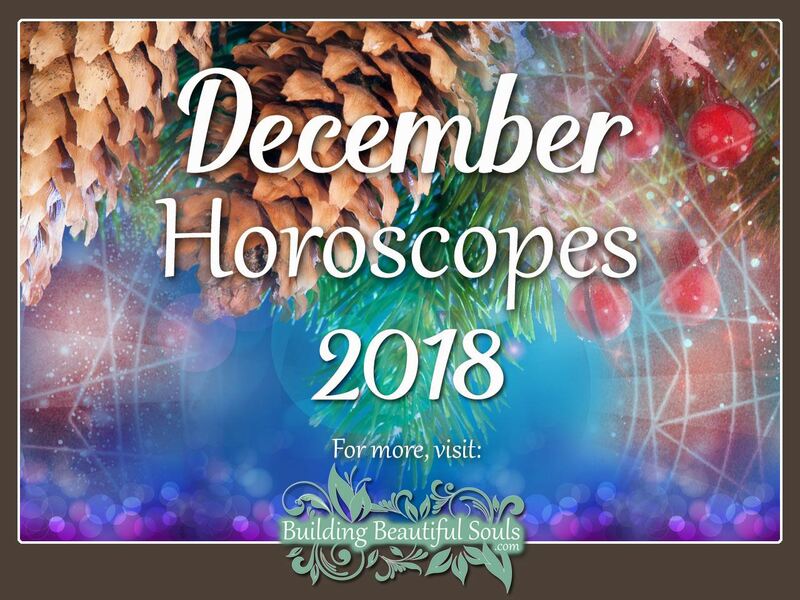 Welcome to the most in-depth monthly horoscope and astrology overview for December 2018! Make sure to bookmark us so you can come back throughout the month for a horoscope ‘check-up’. As we enter December 2018, Mercury Retrograde still has its grip! We have six more days of chaotic communication and technology-related snafus. Once retrograde concludes, it’s a load of bricks off our backs! From the 1st-2nd, Venus Opposes Uranus. Here, we might be anxious about the changes in the realm of love. If our romantic life has seen a decline in “heat,” then it’s up to us add some spice! The Universe urges us to take some risks. As co-creators of our own realities, we can benefit from some fresh excitement in a romantic relationship. Singles are in for a new adventure while actively seeking a partner. The romantic pursuits in early December are further encouraged when Venus enters Scorpio on December 2nd. The Sun Square Neptune, Mars Conjunct Neptune, and Mercury going Direct transits make December a month full of exciting, if not challenging possibilities. With the Sun Square Neptune transit, secrecy is not something we’ll want to partake of now. Even with Mercury Direct, it’s better for us to stay on the “up and up” with what we share with others. From December 15-17th, the Venus Sextile Saturn transit has us all craving the social limelight. Whether we spend time with friends, family, or a lover, every one of us is desiring attention. The combination of holiday cheer and good tidings has all of us looking to be loved and to express it in return. A Mars Sextile Pluto transit enters on December 16th-18th to give us an energy boost right before the holidays. Now we’re able to get that last-minute shopping done and to prepare for the family gatherings. We’ll feel our drive intensify. A Sun trine Uranus influence plays out from the 20th-21st on Winter Solstice. The Same day the Sun enters Capricorn. The period instills the desire to try things foreign to us. Our psychic abilities are heightened. It’s an excellent time for divination. The 21-22nd also sees the Mercury Conjunct Jupiter and Venus Trine Neptune transit. We’re thinking about self-improvement, particularly with mind and learning. We’re also more generous with time; this period is excellent for volunteer work. The 22nd sees the Full Moon in Cancer. The holidays fall under the Mercury trine Neptune transit, and the month gets rounded out with the Venus sextile Neptune transit. Our emotions seem more intense. We may struggle with expression. We find relief through creative outlets. The first week of December, Venus’ direct and Mercury retrograde join forces; you’ll be feeling particularly romantic. It’s an excellent week for money matters. An unexpected income source might surprise you. Consider it collecting coins from your Karma Piggy Bank. Pay attention to your budget anyway, Aries. Stick to it despite your urge to spend. The 6th ends Mercury retrograde; the brain fog fades. Your thinking is sharp. From December 7th-15th, a happy-go-lucky attitude reigns with the New Moon in Sagittarius. Your forward-thinking mind focuses on next year. December’s energies invite you to ready yourself. Sign up to learn a new language, or enroll in an adult class. You’ll have interests in “taboo” subjects. The 16th-20th, you’ll tap into your creative muse by pursuing your passion. December 21st brings Winter Solstice. 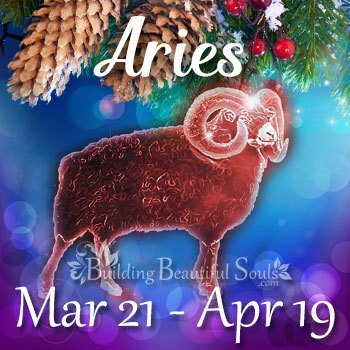 You feel spring’s promise of returning light deep in your bones, Aries. You’re eager to put well-made plans into action. On the 22nd, the Full Moon enters Cancer. You’re more emotional than usual. From the 23rd-31st, you’ll have thoughts of home rising to the fore. With the holidays ahead, reflecting on the importance of family, ancestors, and tradition intensifies. You embrace the holidays with joyful abandon! Healing Crystals & Stones: Use carnelian to tap into your creative soul, Aries. It stimulates the energy wheel of the Root and Sacral Chakras. December 1st-6th, Mercury Retrograde and Venus influences intensify romantic feelings. You’ll want to go full-bore-ahead and throw everything you are into a relationship. 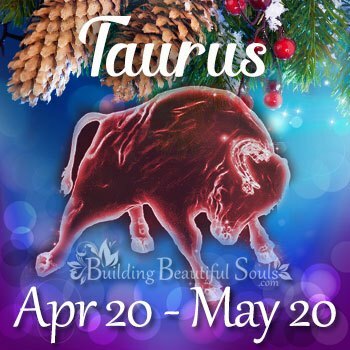 Be careful not to lose yourself, Taurus. You need autonomy too. Since November 16th, your head has been in the clouds (the fog of Mercury’s chaotic energy). You’ve been hesitant to make big decisions because of “lazy brain.” Mercury Direct on the 7th lets you feel more like yourself. The Mars conjunct Neptune aspect fills you with enthusiastic energies. You’re ready to achieve the goals and will let nothing stand in your way. December 15th-17th, the Venus Sextile Saturn transit has you craving time with loved ones. Solitude isn’t appealing. If you’re dating or looking for romance, only serious applicants need apply. On December 18th, the Moon enters your sign. Beginning a new relationship now ensures its longevity. You’ll feel compassionate, and optimistic about the future. Your instincts and intuition are ultra-sharp. You’ll have sudden flashes of knowledge on the 21st. When the Sun moves into Capricorn, your analytical mind is stronger than ever. The holidays are blessed, thanks to the Mercury trine Neptune transit on the 24th. Healing Crystals & Stones: Amber reminds Taurus of the returning light of spring while enduring the darker days of the month. Admittedly, you’ve had it a little rough for the past two weeks. Why? Because, Mercury, your ruling planet, has been wreaking havoc. 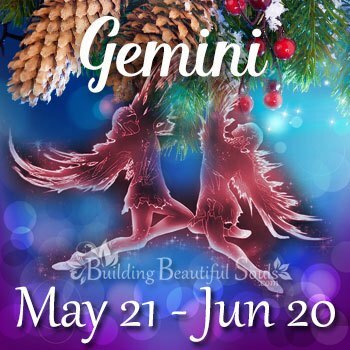 You’ll get a reprieve on the 7th, Gemini. It’ll feel like you got a “get out of jail free” card. Your thoughts will ring true and clearer than they have in weeks! The first week of December, Venus and Mercury have you focusing on well-being. You might change your diet or to revamp your exercise plan. It might be time for your annual checkup. If you are looking for work, there’s a good chance the position you land will involve helping others. Extreme prone you are, but this is no time to lean on one side of the scale or the other. With the approaching holidays, your goal is to maintain harmony. Keep your social interactions light. When dealing with close family, maintaining a peaceful vibe. As you approach Christmas Eve, the Full Moon enters Cancer. It’s a chance to improve family connections and to mend broken relations. The 21st brings the longest night in on Winter Solstice, but the spring’s light begins to increase. From the 24th onward, the Jupiter trine Neptune energies have you’re inquisitive at its zenith. The Waning Moon on the 27th is a great day for releasing outmoded beliefs. Healing Crystals & Stones: Stibnite helps Gemini ward off anxiety and concerns when carried as a talisman. On December 1st, the Sun Squares Mars. The energetic influence combines with Mercury retrograde. You may find someone in authority asserting their position. It’s as if they have something to prove. Don’t let it rub you the wrong way Cancer. Allowing them to affect your emotional balance is tad amount to giving them your power. 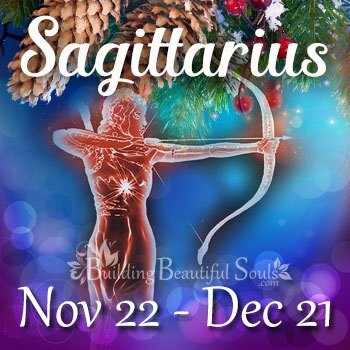 During the first week of December, the Moon enters Sagittarius. On the same day, Mercury goes Direct. Communication smooths out, and it’s easier to get along with people now. You’ll be more willing to come out of your shell. Even romance is enticing. The Venus Sextile Saturn aspect from Dec 15th-17th has you longing for the comfort of another. You’ll want to hang out with friends or loved ones more and express your feelings openly. For those who are in an existing relationship, the ties that bind are strengthened. For those looking for love, this is no time for one-night stands. Winter Solstice will have you in the mood for festivities on the 21st. People will seem transparent. You tap into your already apparent psychic senses. You’ll be able to sense the mood of another before they even speak. Christmas Eve and Christmas, you’ll be feeling in touch with the Universe. Use this time to consider your power and ability to co-create reality. On the 28th, the Venus sextile Uranus transit has you focusing on “doing you, Cancer.” That means it’s time to revamp that wardrobe. Healing Crystals & Stones: Citrine can help Cancer manage shifting moods during December. For the past few weeks Leo, you’ve been feeling edgy, with the slightest things threatening to heighten your annoyance. For the first six days of December, you’ll be in a similar mood. Your patience seems to be tested at every turn. 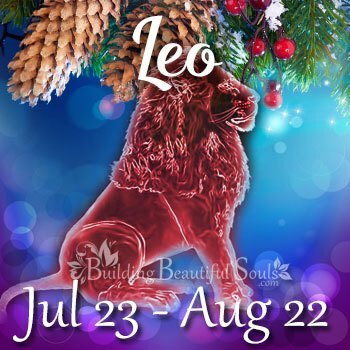 You’ve been feeling like you just can’t get your point across, and nothing is more irksome to a normally eloquent Leo! You can thank Mercury retrograde for the test of your limits. Dec 7th, you’ll be far less irritable. December 1st-2nd, a Venus Opposes Uranus transit leaves some Leos madly in love, and others trying to put a little more “fire” into the relationship. If communication has been an ongoing issue for you, you’ll see improvement by the middle of the first week of December. It’s best to hold on and to wait things out before making any big decisions. Single Leos will have fun dating, but only if they are in search of a partner interested in real commitment. The Venus Sextile Saturn transit from the 15th-17th has you, the limelight-loving Leo, feeling like your old self again! You’re looking to hang out with friends and loved ones and to have fun. Mid-month, you’re looking to express how much you love your family and friends. And, like and tried and true Leo, you’re looking to be adored in return. From the 16th-18th, you’ll feel your normal energy stores returning. It gives you an extra boost to help carry you through the holidays. You’ll be the life of holiday gatherings. Plus, you’ll be able to do the lion’s share of the work when it comes to all the gift-wrapping you have to do! You’ll be looking toward the new year with a conqueror’s attitude! The Full Moon in Cancer on the 22nd has your inner kitten ready to come out and play (and yes, you do have one)! You’re more in touch with feelings, especially during the holidays, which makes you feel warm, fuzzy, and nostalgic. Healing Crystals & Stones: Stemming from molten rock, Peridot is the perfect stone for Sun-ruled Leo. It supports your desire to learn and commitment to goals. 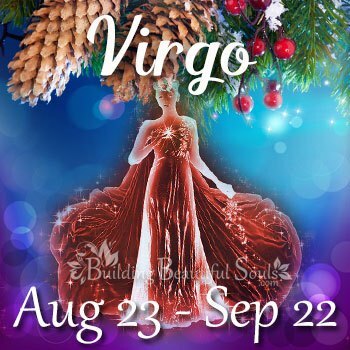 Since mid-November, you’ve felt on the fritz, Virgo. It’s like your mind has been dealing with fog, static and a whole lot of undesirable white noise. Mercury Retrograde has ground you to your last nerve, and it’s got you wanting to lash out. Relief is on the way when Mercury goes direct and lifts the veil of confusion. On the 7th, the New Moon enters Sagittarius, so you’ll be feeling a bit more willing to face the world. Normally a bit introverted, you’ll feel like the Sun is finally rising on life again. You may feel it a bit risky, but you’re ready to address the world now. You move smoothly through the week with your sense of humor helping you get through any mildly thorny situations. The Venus sextile Saturn transit from the 15th-17th has you seeking out friendship and romance. If you’re single, the desire for a partner intensifies. As the holidays draw near, you want to share the moments with someone dear to you. You’ve never been one for flash and fizzle relationship, and you won’t start that now. From the 16th-18th, the Mars sextile Pluto transit gives you plenty of energy to get things done this holiday season. Being a traditionalist, you like everything perfect, from the wrapping paper to the bows, to the tinsel on the tree. You’ve got your checklist in front of you, Virgo. You’ll have no trouble checking off each box, one-by-one. Winter Solstice arrives with a Sun trine Uranus transit pushing your analytical nature to the background while your psychic senses kick in to lead the way. You’ll be inspired by bursts of information and epiphanies. Use what comes to you to ignite the fires of ambition as you enter the new year. The Moon in Cancer on the 22nd has you feeling emotional. You’ll spend time going over old photographs, sharing memories, and basking in the holiday ambiance to come. Healing Crystals & Stones: Aventurine helps Virgo maintain a happy attitude. As a constant seeker of balance, Libra, you’ve been feeling out of sorts. Mercury Retrograde has been wreaking havoc. You can’t seem to get your point across and can’t see eye-to-eye with anyone right now. Take a breath; you’ll have a reprieve on the 7th when Mercury goes direct. Once you start feeling things swing back to equal on the scales, you’ll experience greater harmony. The Moon enters Scorpio on the 3rd, having you look to romantic pursuits with greater resolve. The Sun Square Neptune transit on the 6th comes with a word of caution: Approach your mate with all honesty and forthrightness. Any lies you tell now will be haunting you later. When the Mars Conjunct Neptune transit arrives on the 6th, be sure you don’t demand too much from your partner in the way of your expectations. Singles looking to date now need to look at potential partners with realistic eyes. Also, you have a naturally giving nature, Libra. But, don’t be overly generous with those who take you for granted. Mid-month, your ruling planet Venus, enters a sextile transit with Saturn. It’s a great period for business and romance. From the 16th-18th, the Mars sextile Pluto transit gives you the endurance to tackle all those personal projects you’ve been putting off since Mercury went retrograde. Plus, you won’t feel fatigued as the holiday demands for preparation arrive. 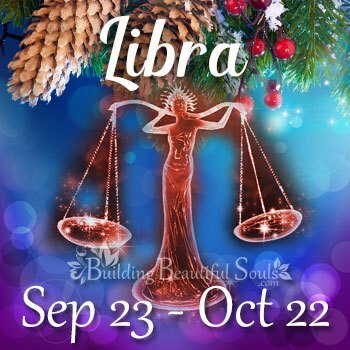 Winter Solstice, Christmas Eve, and Christmas go off without a hitch, Libra. You’ll find time with family and friends both harmonious and nostalgic. Good food, your love of harmony and beauty, and your gift of gab keep the air light. Healing Crystals & Stones: Ghost Jade helps Libra balance the positive and negative energies in your life. 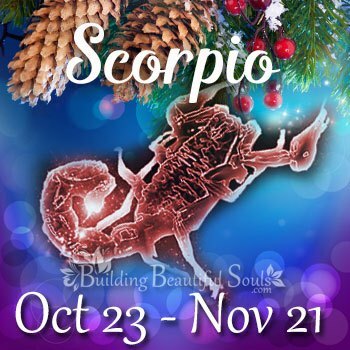 Despite the chaotic energies of Mercury retrograde, you enter December feeling open-minded and optimistic, Scorpio. The holidays linger ahead, and you appreciate the close time with those you love. You’re feeling more philosophical, particularly about what the new year will bring. The Moon enters your sign on the 3rd, giving you an interest in the mysteries and fringe subjects. You’ll find a desire to educate yourself about unusual subjects or to have long, private discussions with like-minded folks. On the 6th, Mercury Direct and a Sun Square Neptune transit have you seeking solitude. You’ll have trouble reading people. You feel vulnerable. You’ll retreat for a few days. A Mars Sextile Pluto transit from the 16th-18th brings your deepest motivations to the fore. You’ve always had a massive drive for success. As the year draws to a close, you’ll use the influence of this transit to launch new projects and to take major strides forward in accomplishing your dreams. What you do accomplish may seem impossible to others. A Sun trine Uranus transit on December 21st, has you feeling more social. Your confidence shines. The Mercury Conjunct Jupiter transit ensures optimism reigns. On the 22nd, the Venus trine Neptune transit with the Moon in Cancer promises quiet, romantic, and tender moments with a lover. The 24th-25th, you’ll find harmony reigns as you enjoy the holidays. A Venus sextile Neptune transit on the 28-29th may bring precognitive dreams about love and the new year. Healing Crystals & Stones: Turquoise stimulates your creativity and offers you protection, Scorpio. Normally out for any adrenaline rush you can find, even you know when to bury your head in the sand, Sagittarius. That’s just what you’ve been doing since the middle of November. Not to worry, you can come up for air on the 7th when Mercury goes Direct. The Sun Square Neptune transit on the 5th might have you preferring a little privacy. You still aren’t quite ready to interact with others. The mid-month has you out of your protective shell and ready to take on the world. You’ll motivated, ambitious, and dreaming big. You’re off to your next adventure whether it’s travelling or hitting the cross-country slopes. From the 16th-18th a Mars Sextile Pluto transit has you dreaming big and conquering your goals. On Yule, you’re feeling festive and ready to engage with others. You’re a leader in the crowd with an attractive fun-loving attitude. If you don’t host the holiday party, you’re sure to attend. 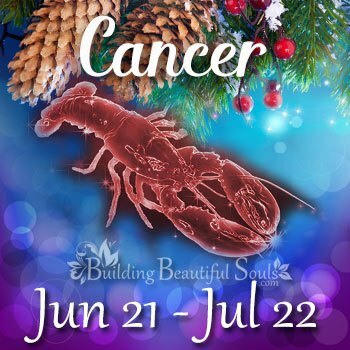 The Moon in Cancer has you loving the warm and fuzzy feelings the coming holidays bring. You’re far from traditional, but still love the yearly rituals of family gatherings. Christmas Eve and Christmas are joyful and calm. You’ll be spending quality time with the one you love most throughout the holidays and the end of the month. A Venus sextile Neptune transit has you fantasizing about what the new year holds. Healing Crystals & Stones: Turquoise stimulates your creativity. It offers protection from negativity for the Sagittarian risk-taking soul. It brings analytically-oriented Sagittarius peace of mind. Capricorn, you’ve been feeling hindered when it comes to your ambitions. Even if you tried, Mercury Retrograde would have left your efforts in ruins. It’s a good thing Mercury goes Direct on the 7th and lightens energetic weight you’ve been feeling. A Sun Square Neptune transit reigns from the 5th-6th, making steer clear from complicated family and love relationships. Despite your direct manner of communication, it’s all too easy to be misunderstood. You’re fatigued and feeling less energetic than usual. With the Venus Sextile Saturn transits arrival from the 15th-17th, you’ll be dividing your attention between business and love pursuits. The Mars Sextile Pluto transit from the 16th-17th, has you putting your nose to the grindstone and launching all the projects Mercury retrograde had you hold off on up until now. You’ll conquer more than you imagine, much to the surprise of others. You’ll leave an impression at home, in social circles, and on the job. A Sun trine Uranus transit on December 21st has you tapping into your spirit guide’s guidance, although you’re apt to call it your “muse.” You’ll have sudden bits of wisdom strike you which you’ll use in the coming year to conquer more of your greatest ambitions. A Venus trine Neptune transit offers influence on the 21-22nd putting in the right mood to entertain a close circle of friends and loved ones. The Sun enters your sign on the 21st, so you’ll feel at the top of your power. The Moon enters Cancer on the 22nd, so you’ll be more willing to be soft, emotive, and cuddly. Christmas Eve and Christmas fall under the influence of a Mercury trine Neptune transit. The warm and loving feelings you’ve been having since the 22nd carry you through the holidays. Healing Crystals & Stones: Snowflake Obsidian is the perfect stone for December if you live in wintry climbs, Capricorn. It is a reminder of the longest night and the return of spring. It helps you stay grounded. Mercury retrograde had you feeling a bit edgy Aquarius, but you’ll see it come to an end the first week of December. After that, it will seem like the world is your oyster. Your independence will shine this month, as you take up the pursuit of your goals once more. Your humanitarian nature will also leave an impression as you share what you have in the way of time with fellow human beings. The transiting of Sun Square Neptune the first week of December leaves with low levels of energy. It’s temporary, and you’ll shake the feeling off in a day or two. Use the downtime wisely, because you’ll be super social and busy for the remainder of the month. On the 6th, the transition Mars conjunct Neptune energies have you looking to advance spiritually. The 15th of December, transiting Venus sextile Saturn has even the most commitment-phobic Aquarius thinking seriously about love and permanency. The 16th, the transition Mars sextile Pluto influence has you full of energy. Your lover is having considerable trouble keeping pace. With the arrival of Winter Solstice on the 21st, with the Sun trine Uranus transit you’ll feel your natural draw to the mysterious and occult sciences stirring up your interests. The 21st and 22nd are brimming with romance; A Venus trine Neptune transit support quiet time with a lover. 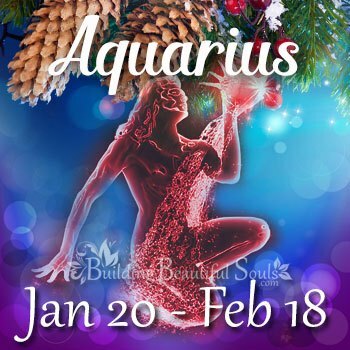 Don’t pass up on the party invitations from the 21st on Aquarius. You’ll get a chance to enlarge your social circle and bask in the limelight you love. The 22nd has you dive deep into the emotional realm with the Moon entering Cancer. You’ll enjoy a quiet, peaceful holiday on Christmas Eve and Christmas with the Mercury trine Neptune influence governing both days. You’ll close out the month in the arms of a lover or among family and friend. Healing Crystals & Stones: Pyrope Garnet’s rich red coloring enlivens the Aquarius life force. 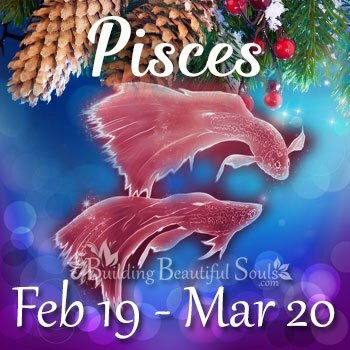 You’ve been hiding away, Pisces. The past few weeks have been too chaotic for you to trust others, so you’ve dove deep into your fantasy world where safety lies. You’ll begin to put your head above water again early in the middle of the first week of December. By the 7th, communication becomes easier, and your hesitancy to engage with the world subsides. Your already incredible imagination receives extra stimulation from the Sun Square Neptune transit. The Universe calls out to you asking to partake in the joys of life through the arts, music, poetry, and dance. You may feel your sense of spirituality heighten or a need to intensify your spiritual pursuits. Prayer and meditation are especially beneficial now. A Venus sextile Saturn transit mid-month has you looking to your romantic partner for some alone time. You’ll want to spend the precious moments cuddled up at home, watching your favorite movies and nestling on the couch. On the 16th, a Mars sextile Pluto transit makes you more forward than usual. You surprise yourself by your extroverted bent. 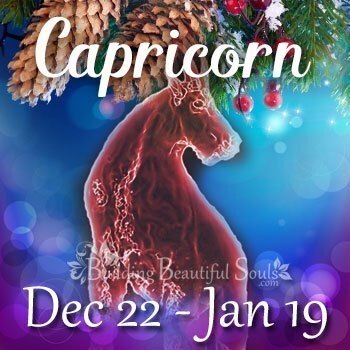 The 21st, the Sun enters Capricorn. It makes you start to push deeper emotions to the background and look to personal projects and goals. You’ll be able to make great decisions based on instinct and intuition, thanks to the Sun trine Uranus transit. Energies and focus shift right back to romance on the 22nd, with the Moon in Cancer. Your psychic senses remain heightened. Christmas Eve and Christmas fall under peaceful and harmonious influences: You kick back and enjoy the vibe. You close out the year enjoying the company of loved ones: It’s like your backstroking with ease through the waters of emotion. Healing Crystals & Stones: Diopside aligns with the fourth Chakra and helps you deal with difficult matters of the heart, Pisces.